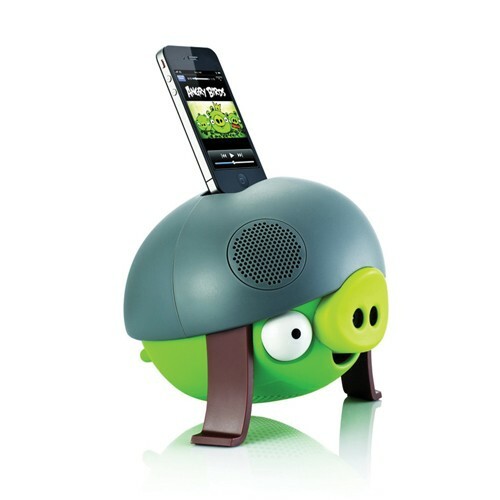 The officially licensed Helmet Pig Speaker from the global Angry Birds phenomenon. The evil Helmet Pig is made for iPod / iPhone with a dock that allows the speaker to play your iPod or iPhone, as well as any music device with a 3.5mm headphone jack. 1 year full direct warranty.